If your loved one has been diagnosed with Alzheimer’s disease or another type of dementia, you may be concerned about their safety. While Alzheimer’s disease and other dementias affect each individual differently, symptoms such as confusion and disorientation, limitations in mobility or coordination, and memory loss pose serious safety concerns. The good news: There are many things you can do that can help to ensure your loved one’s safety, whether they currently reside alone, with family members, or in a senior living community. We’ve created this guide to help you understand the potential safety risks your loved one may be facing as well as concrete steps you can take to reduce those risks. The symptoms of dementia may vary from person to person, but there are some common symptoms that can lead to safety concerns for those who suffer from Alzheimer’s disease or another form of dementia. 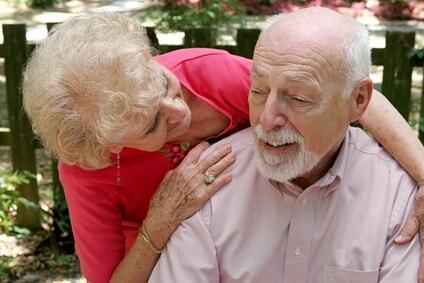 Alzheimer’s disease, in particular, tends to progress through several stages with worsening severity of symptoms. For instance, a person in the early stages of Alzheimer’s disease may experience slips of the mind that most people write off as simple absent-mindedness, such as forgetting where they placed their keys or why they entered a room. 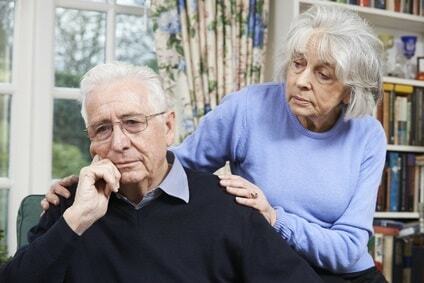 In the middle and later stages of Alzheimer’s disease, however, the symptoms increase innumber and severity. A person may lose their sense of time and place, and they may forget how to perform everyday activities, such as boiling water for tea on the stove. A weakening of the senses (such as hearing, depth perception, temperature sensitivity, and vision) and trouble with balance can further compromise safety. It’s not difficult to see how these symptoms can contribute to safety concerns. A person may begin to boil a pot of water and forget that they’ve done so, or they may put a dish in the oven and forget that they’ve turned it on, both of which create a fire risk. For people who are prone to wandering and confusion, they may begin to walk down the street and, if they lose their sense of time and place, forget how to return home – or, in some cases, even where their home is. Handling medications is another example of the potential safety risks associated with memory loss and other symptoms of dementia. Your loved one may forget to take their medication, or they may forget that they’ve already taken it and take it again, both of which can pose serious health consequences. Even a decline in vision and loss of balance alone can pose safety concerns, leading to slips and falls with a potential for injury. 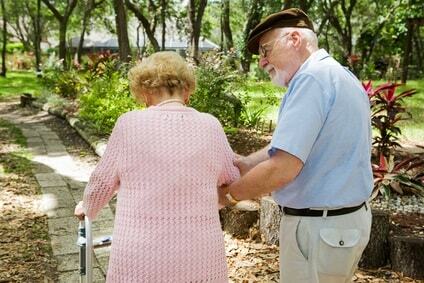 Falls are of particular concern for loved ones who reside alone. 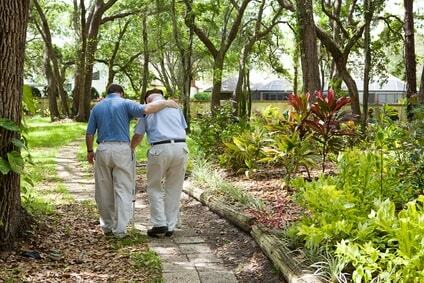 Of course, safety risks for people with dementia extend beyond the risk of physical injury. Impaired judgement and reasoning can make a person more likely to fall victim to scams. Given the many possible safety risks for people with dementia, it’s easy for caregivers and other loved ones to feel overwhelmed and concerned that, despite your best efforts to eliminate potential safety risks, you may have missed something that could result in a devastating accident for your loved one. In this guide, we’ll help to ease your fears and offer peace of mind by outlining the most important safety tips, strategies, and resources to help you keep your loved one safe. Most people cherish their independence, so it’s not a big surprise that many older adults resist changes that make it feel as though they’re losing some of the independence they’ve enjoyed throughout their lives. That’s why approaching safety concerns with a loved one is a delicate task, but nonetheless, it’s an important one. The most important thing to remember is that you should keep your loved one as informed and as involved in the decision-making process as possible. By giving them a sense of ownership in making decisions, they’ll feel less like they’re being stripped of their independence. Talk to your loved one about your fears and ask how they’d like certain risks to be addressed if they become a real concern. Having these conversations before a crisis is crucial and allows you to develop a plan and know that your decisions will be in line with your loved one’s wishes, even if they are no longer able to actively engage in decision-making when the time comes to implement certain steps. If your loved one still ventures outside the home alone, it’s a good idea to have them carry a card in their wallet or purse that explains that they have dementia and includes the name and contact information for someone they (and you) trust. An ID bracelet or necklace with their name, phone number, and address is another option. If your loved one becomes lost or disoriented, this information can help a good Samaritan get your loved one back home promptly and safely. Put “STOP” signs on all doors leading to the outside. Keep car keys hidden out of sight. Keep your loved one engaged in safe activities in the home. Let trusted friends and neighbors know that your loved one may wander. If they see your loved one outside, they can then contact you or help them get home safely. If wandering is a major worry, consider installing alarms on doors and windows that will sound if opened. You should also be mindful of potential hazards outside the home, particularly if wandering is a possibility. For instance, make sure that any backyard pools, hot tubs, or other water features are secured. Close off and secure any decks or stairwells that could be dangerous if your loved one loses their balance as well. 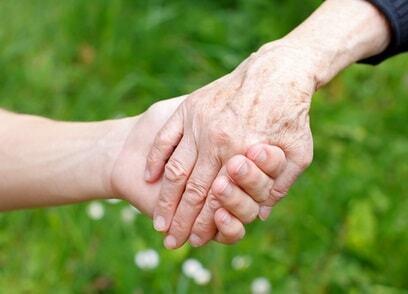 GPS technology is also quite beneficial for families caring for a loved one with dementia. Consider purchasing a mobile phone or smartphone with built-in GPS for your loved one. However, be aware that this safety precaution is only helpful if your loved one takes the device with them. Fortunately, there are other GPS devices that are worn, meaning they’re less likely to be left behind if your loved one goes for a walk or wanders away from the home. Smart watches, for instance, are one example, although GPS-enabled wearables take a variety of forms, from keychains to clip-on devices and even GPS-enabled soles for shoes. Not only can these types of devices let you know if your loved one exits a pre-defined safety perimeter, but they also make it possible to quickly and easily identify their current location. Instead of spending hours frantically searching, you’ll be able to go directly to their location to get them back home safely. In-home safety is a top priority for a loved one with Alzheimer’s disease or dementia, whether they live alone, with other family members, or with a part-time or full-time caregiver. First, verify that your loved one knows what to do in case of emergency, such as a fire. If they’re unsure what to do, develop a plan together, including an escape plan that they can easily navigate – without assistance, if possible. Make sure that all smoke and fire alarms and carbon monoxide detectors have fresh batteries and are operational every six months (or more often). Create clear, easily readable guides with emergency numbers and basic steps posted in readily visible areas, including by all phones. Make sure your loved one knows how to access each fire extinguisher in the home and is able to use it – if they have the physical strength and ability to do so. The U.S. Fire Administration offers a helpful guide to aid you in planning. Removing any potentially dangerous tools, utensils, and machines – or at least securing them out of reach. Even if your loved one has been a woodworking hobbyist his whole life, such equipment can become dangerous when dementia symptoms become more obvious. Possible objects to secure include sharp kitchen knives, guns and ammunition, and even kitchen appliances. You should carefully monitor your loved one’s ability to use these items and be prepared to take appropriate steps if safety is a concern. Appliances that have an automatic-shutoff feature can be a good compromise if your loved one is forgetful but still able to use standard kitchen appliances. Monitor the use of medications and alcohol. Most people with dementia can manage simple medication regimens in the early stages of the disease, while some may struggle with more complex regimens or even simple medication regimens as the disease progresses. Because dementia can lead to impaired judgement and reasoning, you should be mindful of how much alcohol your loved one consumes and ask their healthcare provider or pharmacist if it’s safe to consume alcohol (and if so, how much) with their current medications. If your loved one needs help managing their medications, use an automatic medication dispenser or even a smart pill dispenser to make it easier. Keep bottles with the remaining medications stored safely out of reach. Remove or secure potential toxins. In some cases, people with dementia may become confused about products, mistaking a harmful substance for a safe one. For this reason, you should keep all household toxins – such as household cleaners, gasoline, and the like – secured to avoid accidental exposure or ingestion to harmful substances. Address lighting concerns. Vision impairment coupled with poor balance and a decline in strength makes your loved one more likely to trip and fall. Ensuring that all walkways and rooms throughout the home are well-lit can help to reduce these risks. Nightlights are helpful to illuminate hallways and bathrooms after dusk. Reduce the risk of slips and falls. In addition to providing adequate lighting, you should also remove any tripping hazards that exist throughout the home. That may include cords that extend across hallways or foot paths, throw rugs that may slide on the floor or have raised edges, and any clutter that restricts walking space throughout the home, such as magazine racks, floor lamps (while also supplying better lighting), and stacks of books or other items. Install hand rails on stairways, in hallways if needed, and in the bathroom to make it easier for your loved one to use the toilet and the bathtub safely. Non-slip grips for the bathtub are also useful for reducing the risk of slips and falls. Arrange furniture so that there’s a clear walking path through all rooms used by your loved one. Avoid rearranging furniture, which can lead to confusion. You should also ensure that all furniture – particularly beds and chairs – are at an appropriate height to make it easy for your loved one to transfer in and out. Place easy-to-read clocks and calendars around the home. Visible aids such as clocks can help your loved one remain oriented. Lower the temperature setting on the water heater. People with dementia may have a decreased ability to accurately judge temperature, so taking this step can reduce the risk of burns. Outside the home is another area of concern. Make sure that sidewalks and other outdoor areas are well-lit, and as mentioned previously, ensure that pools and hot tubs are closed off and secured. Keep paths free of leaves and debris, and eliminate any over-hanging branches. Get rid of any poisonous plants, as well as any hazardous substances in the yard or garage, such as gasoline. You should be concerned with your loved one’s nutritional intake. Getting the right nutrients is key to maintaining health, and deficiencies can contribute to fatigue and other symptoms that can impact their well-being. However, people with dementia may have challenges with eating, such as difficulties swallowing, making it even more difficult for caregivers to ensure proper dietary intake. One of the biggest issues facing people with dementia is dehydration. They may be unable to recognize that they’re thirsty, or simply forget to drink enough water. But dehydration can cause headaches, increased confusion, and other issues such as constipation or a urinary tract infection, which can exacerbate the symptoms of dementia. Make sure that your loved one can easily access water when needed, or keep a pitcher or glass of water next to their bed or chair. In some cases, your loved one may simply forget to eat. If your loved one is experiencing these challenges, enlisting the help of a dietician or nutritionist, or in the case of chewing and swallowing difficulties, a speech therapist, can be helpful. You should also consult your loved one’s healthcare provider or pharmacist to ask if any of their current medications may be causing loss of appetite as a side effect. Try to keep meal routines as consistent as possible, such as having breakfast, lunch, and dinner at the same time and in the same place each day. Don’t rush them, and offer cues when needed. Sometimes, a simple cue is all that’s needed to remind a loved one to continue with their meal. If they are having difficulty with chewing or swallowing, learn how to perform the Heimlich maneuver, serve foods that are easy to chew and swallow (softer foods such as yogurt and applesauce work well), and cut foods into bite-sized pieces. 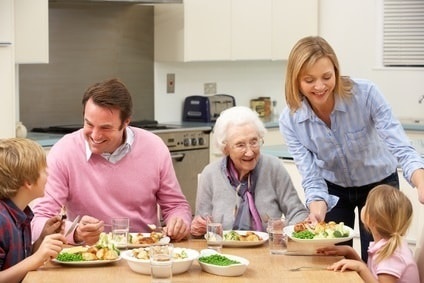 If your loved one has difficultly consuming larger meals, serve several smaller meals throughout the day. If coordination is a challenge, serve finger foods to allow your loved one to maintain their sense of independence. Keep meals simple, and distinguish foods from one another on the plate. If your loved one is preparing their own meals, be sure to check the temperature, as some people with dementia have diminished temperature sensitivity. Finally, make meal times enjoyable by joining them or making sure that another family member or caregiver is present during meals. Driving is often a major sticking point for people who have been diagnosed with dementia. Because they wish to remain independent as long as possible, and may be struggling with accepting their challenges, they may resist the idea of handing over the car keys. If you do have the opportunity to have a conversation early, soon after a loved one has been diagnosed and before the disease has progressed significantly, driving should be one of the items on your discussion list. Ask them how they’d like to handle the situation when it becomes unsafe for them to continue driving. If you’re unsure about your loved one’s safety on the roads, or if they’re resistant to any restrictions, talk to their healthcare provider. A physician may be able to make recommendations based on your loved one’s clinical status. 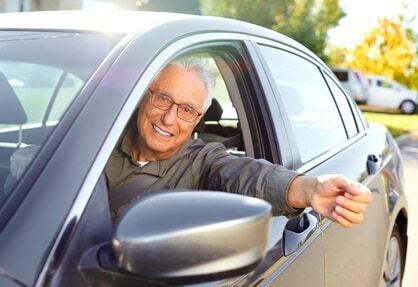 Your local Area Agency on Aging (AAA) may offer a local transportation service for qualifying seniors and people with disabilities, such as accessible van transportation to senior centers, healthcare appointments, and more. Being prepared with an alternative transportation plan can often ease your loved one’s concerns about giving up their independence, so find out what services are available locally before starting the conversation. Traveling can be particularly challenging for people with Alzheimer’s disease or dementia, particularly if they frequently become disoriented. Changes in environment can lead to confusion, which for many dementia sufferers, is quite frustrating. If your loved one experiences severe disorientation with changes to the environment, it may be advisable to minimize travel or stick to familiar places. In general, however, there’s no need to completely eliminate travel for a person with dementia – it just requires some careful planning. Pack several copies of important documents, such as passports, identification, travel itinerary, a list of current medications (including name, dosages, and pharmacy contact information), and contact information for your loved one’s healthcare providers. Because a sudden change in environment can contribute to the tendency to wander, you might want to consider implementing a GPS tracking system of some sort if you haven’t already done so. These options, discussed earlier in this guide, range from GPS-enabled smart watches to GPS-enabled shoes and soles that fit in just about any shoe that send location data to an app on your smartphone. Book an accessible hotel with elevators, particularly if your loved one has mobility challenges. Request a room on the ground floor or a low-level floor if possible, in close proximity to the lobby or to an elevator. Some hotels offer rooms with special accommodations for seniors, such as accessible bathrooms and other amenities. Find out if your loved one’s health insurance will cover emergencies in your destination area. Research hospitals and healthcare providers before you go so that you don’t have to make a last-minute decision in the midst of a crisis. Pack extra medications and other necessary supplies, such as incontinence products, an extra pair of glasses, extra dentures, and any other supplies used regularly. If your trip includes a long flight or ride, compression socks can be useful to help prevent clotting and swelling. Have them get up and stretch periodically. Make sure that your loved one drinks plenty of water to avoid dehydration, and if possible, secure a seat near the restroom on a plane or bus. For some people with dementia, too much stimulation can lead to anxiety. If this is the case for your loved one, plan your destination accordingly, avoiding loud, crowded, and busy locations as much as possible. 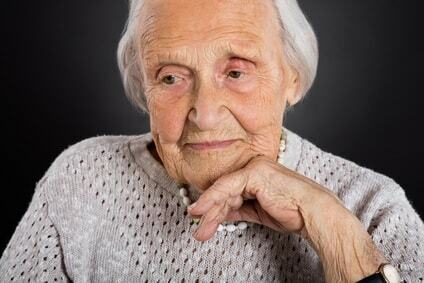 Older adults in general are too often targeted by scammers. The seemingly endless stream of robocalls is frustrating for anyone, but for a person with dementia, making sound judgements about the true intentions of any caller or mailing can be challenging. Sadly, older adults are bilked out of millions of dollars each year by scammers who lead them to believe they’re donating to a worthy charity, paying off a debt, or even helping a loved one in need. From phone scams to social media, email phishing scams, and even elaborate in-person scams, it seems there’s a scammer everywhere you turn. Because scams are growing increasingly sophisticated, caregivers and family members are often at a loss on how to protect their aging family members or loved ones with Alzheimer’s disease or dementia. The most efficient way to ensure a loved one’s safety from scammers, according to Joyce Simard, a social worker and geriatric consultant specializing in dementia care responding to a question on the Caring.com Community, is to obtain power of attorney over your loved one’s financial affairs. The process for doing so varies by state, however, so your best option is to seek the help of an elder law attorney. If you are handling your loved one’s finances and paying their bills, Simard says, it’s easy to detect unusual transactions or notice large sums of money missing. But like giving up driving, many people will see a loss of control over their finances as a threat to their independence, so keep your loved one as involved and informed as possible. Make sure your loved one is aware of the most common scams, such as sweepstakes scams, unsolicited home maintenance people or fake representatives pretending to be from a utility company or another organization that your loved one conducts business with, fraudulent door-to-door sales representatives, credit card and bank fraud, and of course, online scams. Place a “No Solicitation” sign on all doors to your loved one’s home. While these signs won’t totally deter the most determined scam artists, it can help to curb the issue. Install a home security system with signs placed prominently on the property to further deter door-to-door scammers. Set up an answering machine to make it easier for your loved one to screen calls when they’re home alone. List all phone numbers on the National Do Not Call registry every few months. Remind your loved one regularly not to answer the door to unexpected or unfamiliar visitors, and to never give out their personal information to a stranger who calls on the phone or in any email communications. Install antivirus software on their computer, tablets, and any mobile devices they use. Keep it up-to-date by ensuring that all available updates are installed regularly. Set up banking and credit card alerts, and monitor all statements and activities. These steps won’t completely prevent scammers from targeting your loved one, but they can help you keep your loved one as safe as possible. Finally, if you privately hire in-home help, such as personal care aides, be sure to conduct thorough background checks. It’s best to work with an established, reputable agency that has safeguards in place to ensure that any representative entering your loved one’s home is thoroughly screened. Regardless, it’s a good idea to keep valuables securely locked away, including cash, checkbooks, credit cards, financial statements, valuable jewelry, and similar items. Whether you have a loved one who has recently been diagnosed with Alzheimer’s disease or another form of dementia, or your loved one has been coping with the disease for several years but you’ve started to notice a decline, safety is likely one of your biggest fears. While getting a safety plan in place early is key, it doesn’t stop there. Continue monitoring your loved one’s abilities, activities, and other habits to modify your safety plan as needed. Taking steps to ensure your loved one’s safety inside the home and out, as well as addressing other fears such as fraud and scams, will provide greater security for your loved one and greater peace of mind for yourself and the rest of your family.